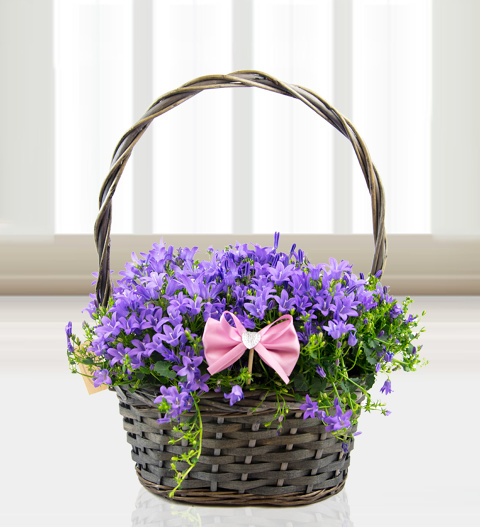 Our team has selected a perfect potted Campanula along with a lovely basket for the most amazing floral display. Commonly known as the bellflower, the colour and shape of these flowers are particularly attractive. This gorgeous plant makes an excellent gift for Mother's Day, birthdays, and any other occasion. Chocolates may contain nuts.